The liver contributes to the normal metabolism and is involved in the digestive process, but also plays a major role in removing toxins from the body. This body is able to heal itself upon injury, however, this also requires the help of a person outside - use of essential for liver fruits and vegetables. To restore the structure of the liver help different gourds. Among them are the benefits of melon and pumpkin. They are best eaten only in season, to protect your body from pesticides. Melon is useful in the form of cheese, and pumpkin can be added to porridge and other dishes, or simply baked in the oven with the right spices. Contributes to the normalization of the liver and red beet. It contains a substance such as betaine, which helps the body eliminate harmful compounds and salts of heavy metals. The most useful thing to use it in its raw form, for example, in the vegetable salad, and cooked beets will bring many benefits to the liver. Promote the excretion of carcinogens from the body as broccoli and cauliflower. All due to the fact that these vegetables increase in the liver the number glucosinolate – natural absorbent. Ordinary cabbage is also good for the liver, but it is harder to digest by the intestine, can cause bloating and flatulence. Great use of the liver brings various greens: lettuce, dill, parsley, cilantro, Basil and others. No wonder, because they have many of the necessary for the body trace elements such as iron, selenium and phosphorus. Very useful as green asparagus. Garlic also activates liver function, helping it to quickly cope with the removal of poisons and toxins that can cause serious harm to the body. And also contains selenium and allicin, that enhance the filtering cancer. 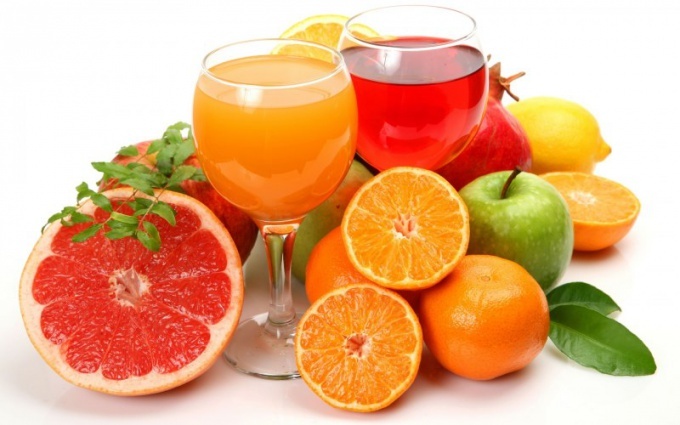 Among the fruits that help the liver, the first place deservedly take the oranges. They are especially recommended to include in the diet during treatment with antibiotics or after poisoning by heavy metals, because they reduce the workload of the liver and help the rapid excretion of toxins. This is largely due to the incoming of oranges for the vitamin C. However, to use these fruits is only if there is no gastritis or ulcers. Enrich the liver beneficial trace elements necessary for its normal operation, and green apples. Beneficial these fruits can be eaten fresh and with the peel, but you can eat them and after baking in the oven. Avocado is also beneficial for the body in General and liver in particular. The flesh of this natural absorbent rich in monounsaturated fats, helping to bring toxins into groups that are easier to withdraw, and to restore the liver cells.